We can’t control our excitement! Season 2 of Stranger Things is here! Like so many people, we are totally addicted to the Netflix hit. Perhaps, it is the fact that we grew up in the 80s or maybe it is just that the show is just that good! In any case, we knew that with the use of Eggos in the show, a recipe had to happen. 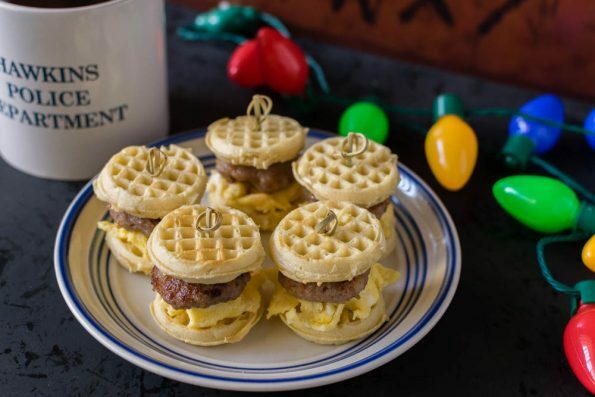 So we came up with a recipe for Eleven’s Eggo Sliders! In case you live under a rock and have yet to watch the show, here is a little bit of info. “When a young boy vanishes, a small town uncovers a mystery involving secret experiments, terrifying supernatural forces, and one strange little girl.” Season 2 of Stranger Things can only get better. Sadly, without getting into spoilers (which isn’t our thing) we can’t say much more than that! However, what we can do is share a delicious and ridiculously easy recipe! Obviously, we chose to use Eggos in our recipe because of the show. That being said, the rest of the recipe is fairly customizable. You can use any type of breakfast meat or even add condiments. Have fun with them! 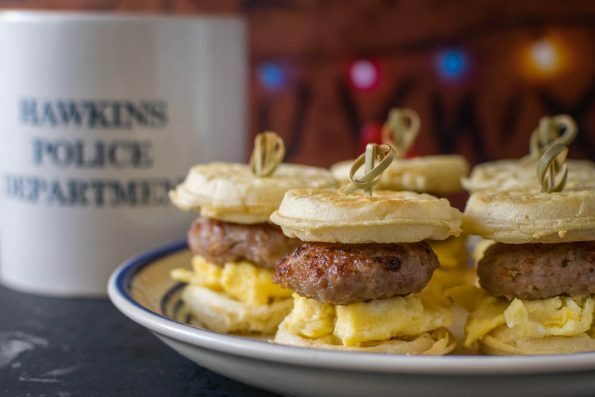 We chose to keep them breakfast based because that was what we liked but you could even make little hamburger sliders! 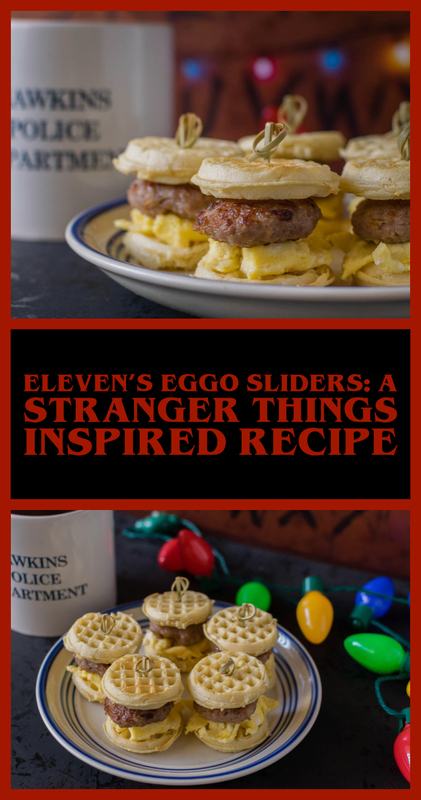 We hope you enjoy our Stranger Things inspired recipe. What would your perfect breakfast slider be? Leave a comment below or tag us on social media using the hashtag #GeekEats! Happy Watching! Shape out 8 sausage patties and set aside. Season eggs to taste and set aside. Toast waffles and set aside. Construct each slider with one sausage patty and a spoonful of egg. Add any condiments you might want.